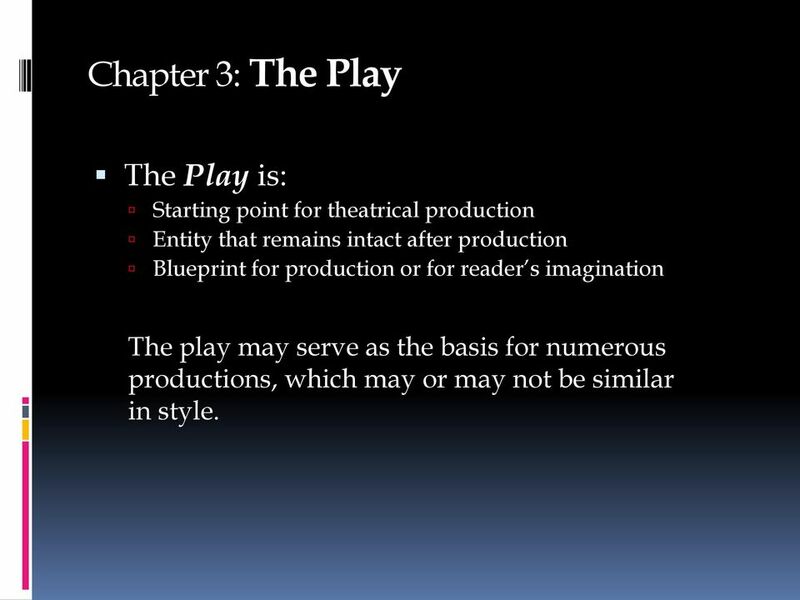 Download "Starting point for theatrical production Entity that remains intact after production Blueprint for production or for reader s imagination"
1 Chapter 3: The Play The Play is: Starting point for theatrical production Entity that remains intact after production Blueprint for production or for reader s imagination The play may serve as the basis for numerous productions, which may or may not be similar in style. 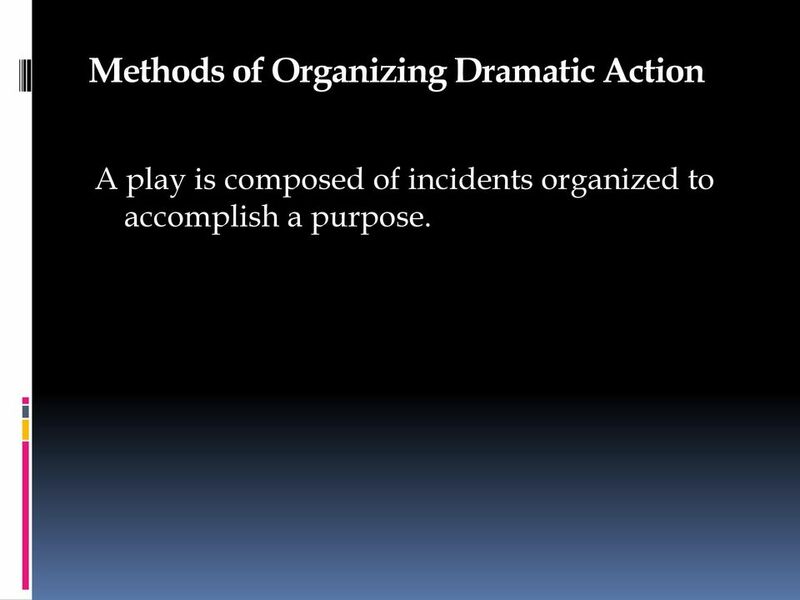 6 Methods of Organizing Dramatic Action A play is composed of incidents organized to accomplish a purpose. 18 Character How is Character Revealed? 1. 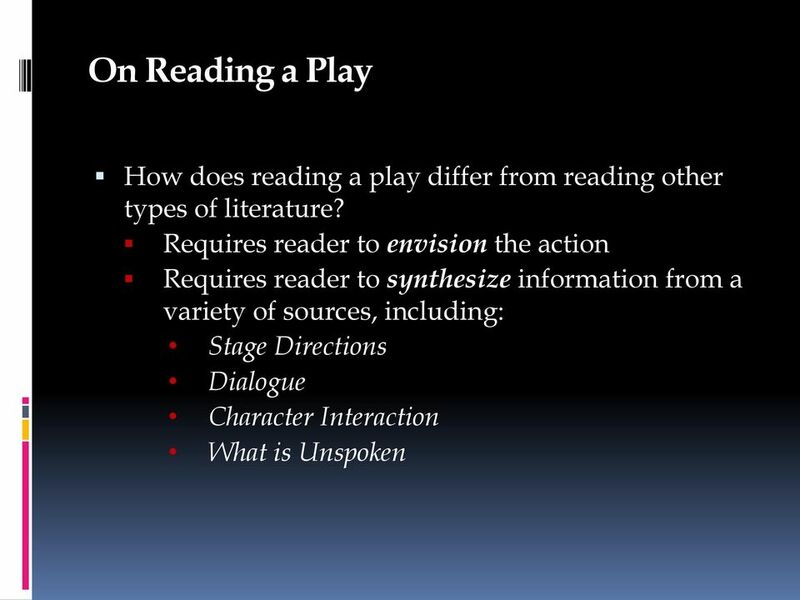 Through Stage Directions, Prefaces, Other Materials 2. Through what the Character Says 3. 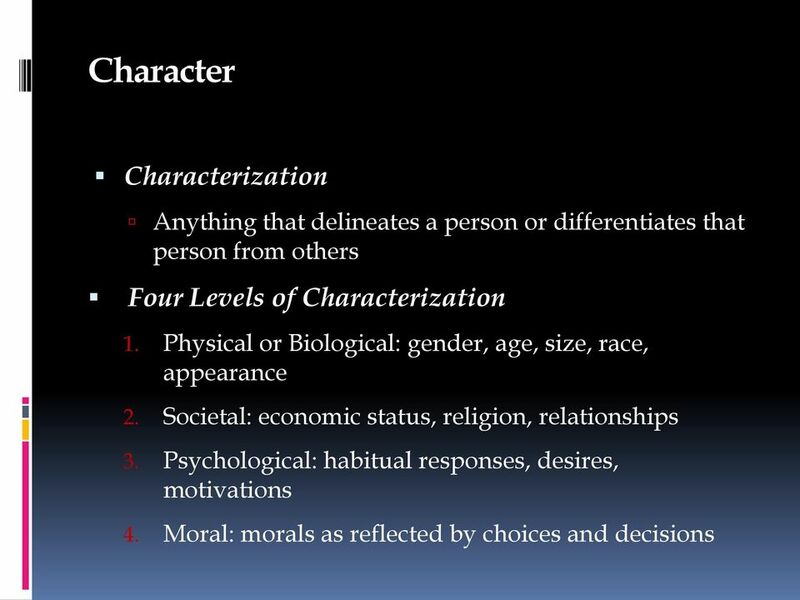 Through what Others Say about the Character 4. 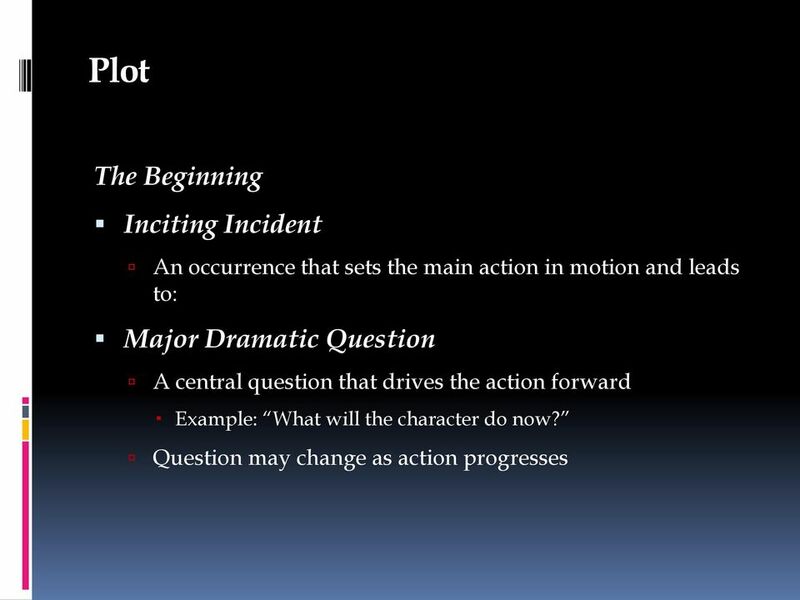 Through what the Character Does Something to Think About: Imagine that you are playing the role of Yourself. 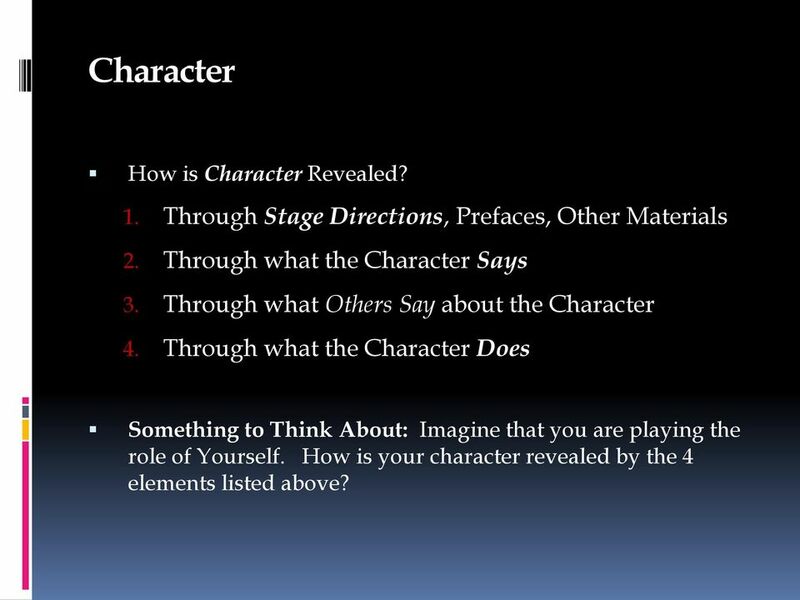 How is your character revealed by the 4 elements listed above? 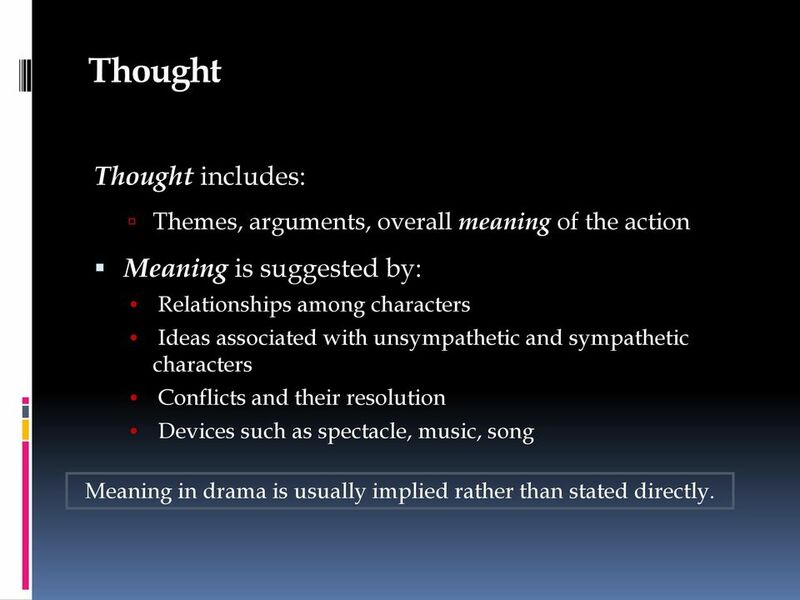 19 Thought Thought includes: Themes, arguments, overall meaning of the action Meaning is suggested by: Relationships among characters Ideas associated with unsympathetic and sympathetic characters Conflicts and their resolution Devices such as spectacle, music, song Meaning in drama is usually implied rather than stated directly. 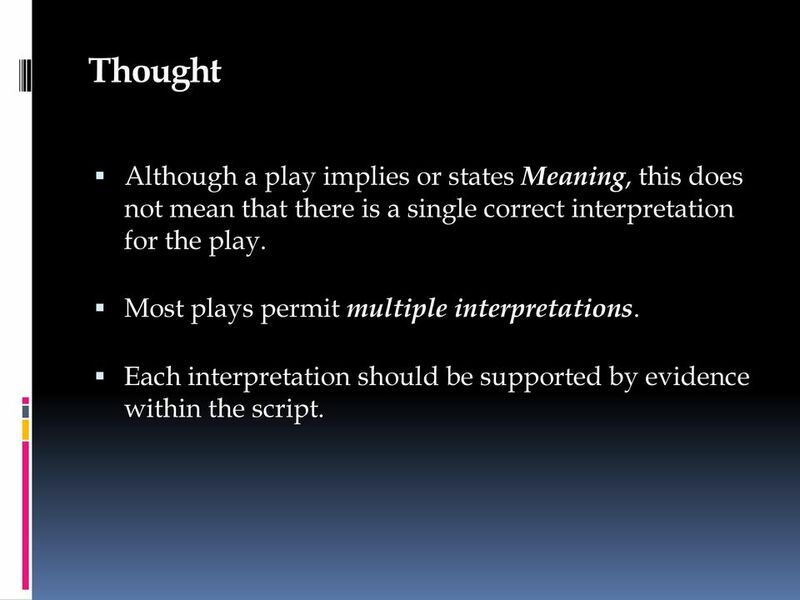 20 Thought Although a play implies or states Meaning, this does not mean that there is a single correct interpretation for the play. 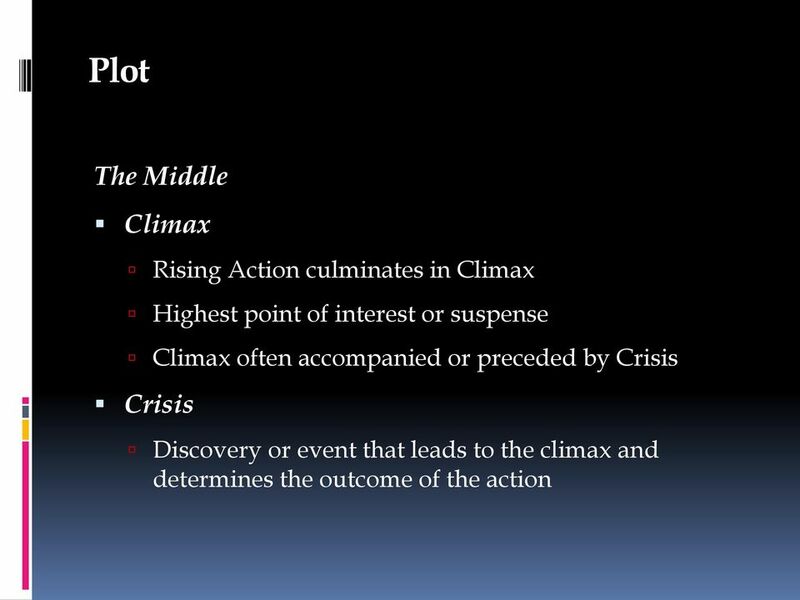 Most plays permit multiple interpretations. 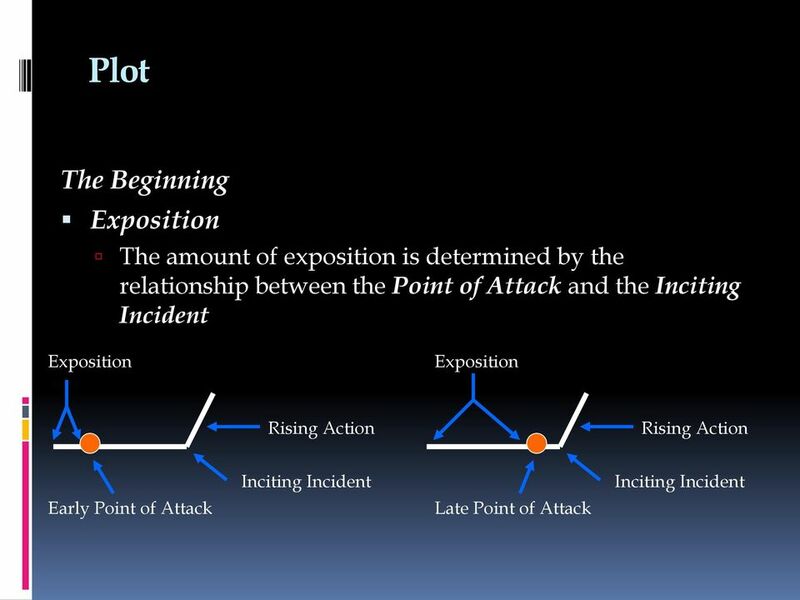 Each interpretation should be supported by evidence within the script. 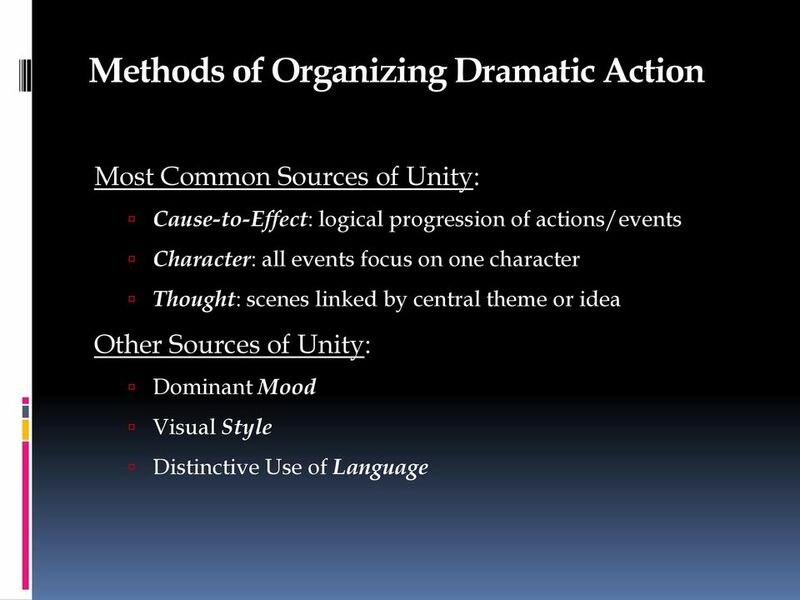 33 Other Forms Melodrama A mixed form Develops a temporarily serious action that is initiated by villain Depicts world with clear differentiation of good and evil Audience desires to see good win over evil Destroying the villain s power results in happy resolution Most popular form of Theatre in the 19 th century Concern for giving formal labels to Plays has diminished considerably, as many contemporary plays mix formal elements and characteristics. 36 Making Connections: Part I presents some basic issues of theatre, including: its nature and function; its relationship to other forms of art; criteria for judging theatrical performances; and how plays are structured Consider the materials covered so far as you address the following questions: 1. 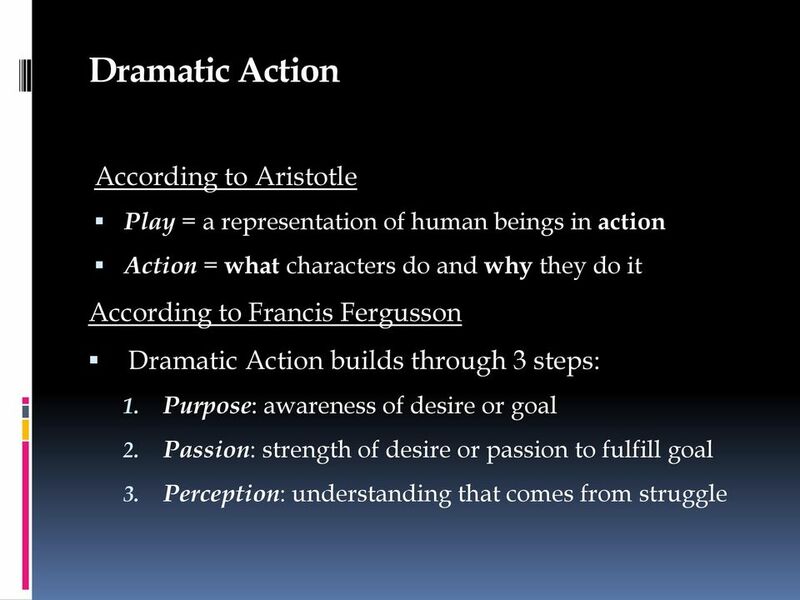 Why do people create Theatre? 2. 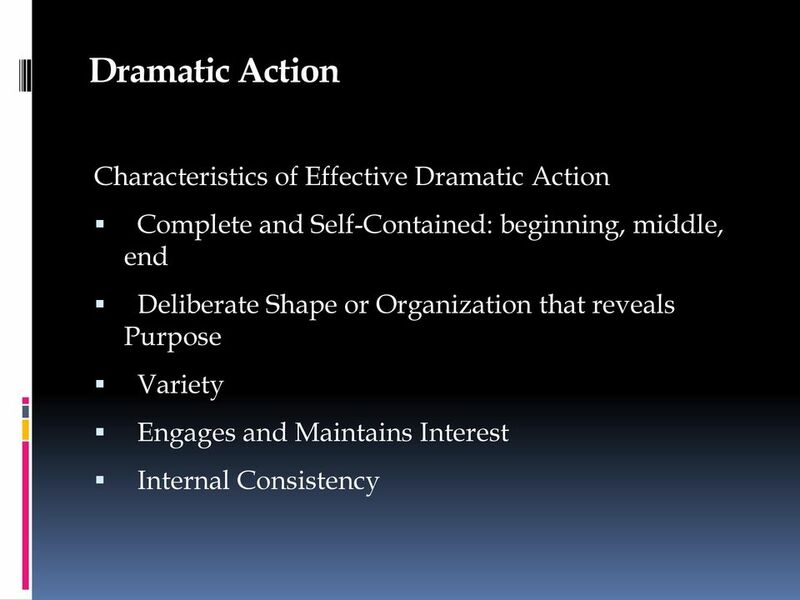 What attracts audiences to Theatre performances? 3. 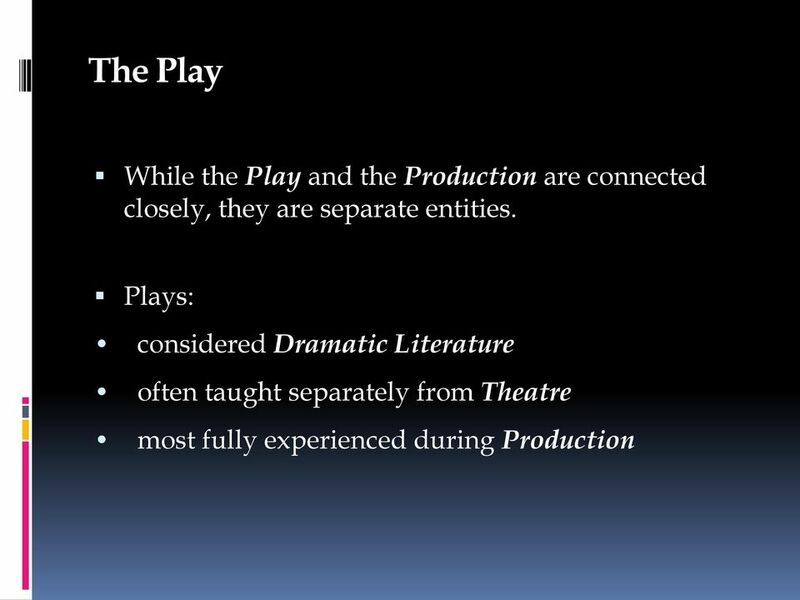 What makes one production seem better to us than another? 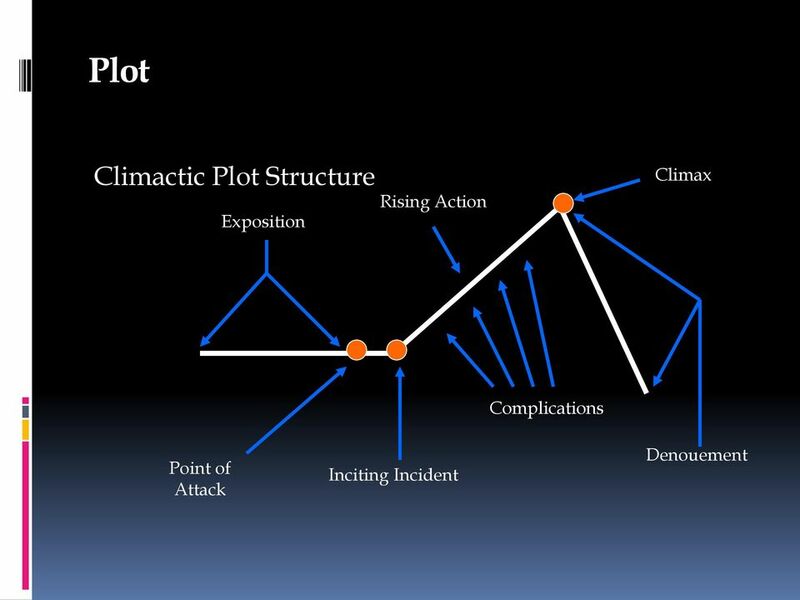 Antagonist The antagonist is a major character or force that opposes the protagonist. 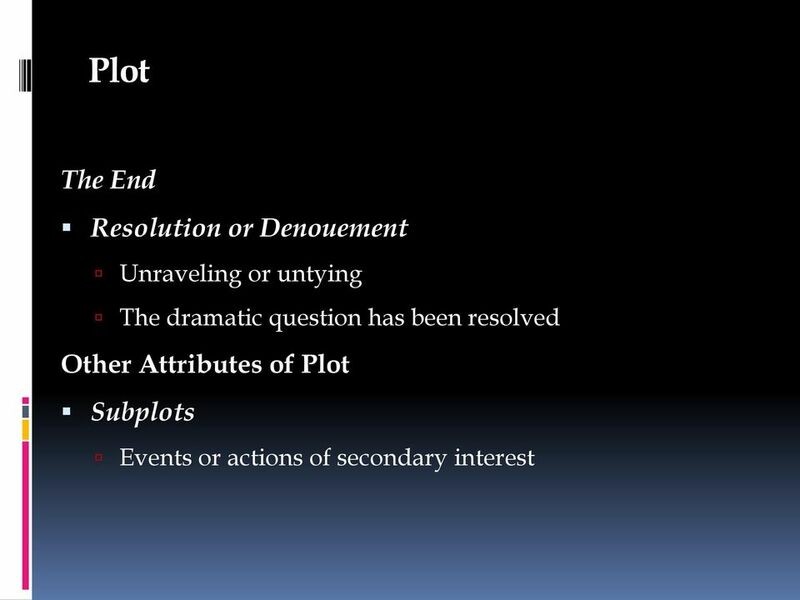 Dramatic & Stylistic Features of An Inspector Calls Well-made play In many respects, An Inspector Calls fulfils the criteria of the well-made play. 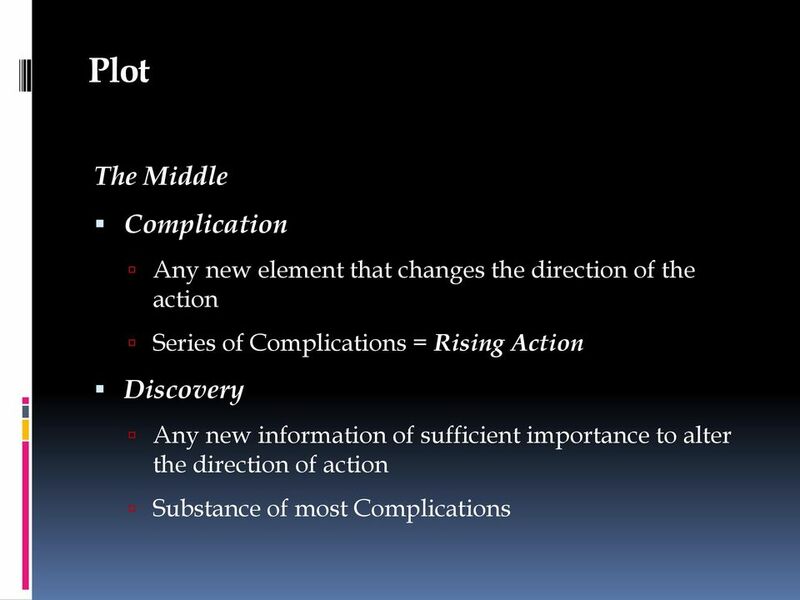 The well-made play was invented by Eugene Scribe (1791-1861). 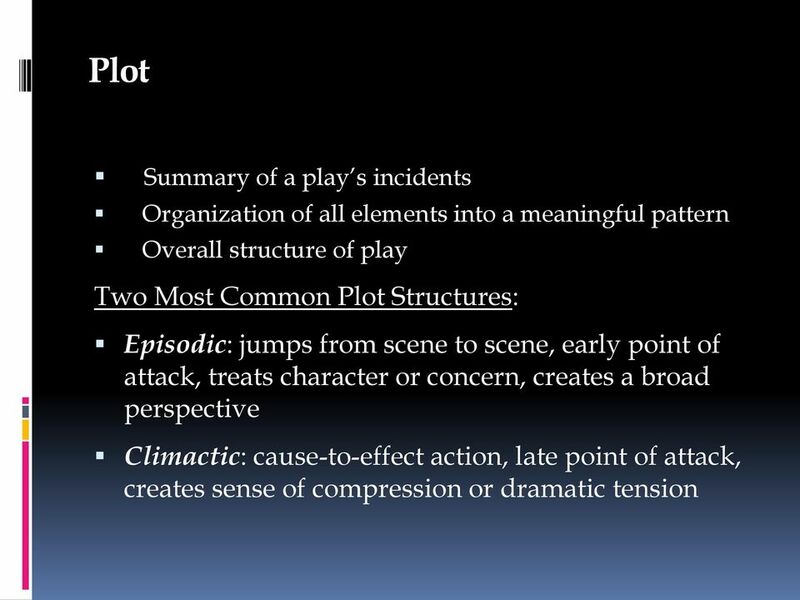 INTRODUCTION TO DRAMA UNIT 4 DRAMA Drama: composition in prose form that presents a story entirely told in dialogue and action, and written with the intention of its eventual performance before an audience. Page 1 of 5. 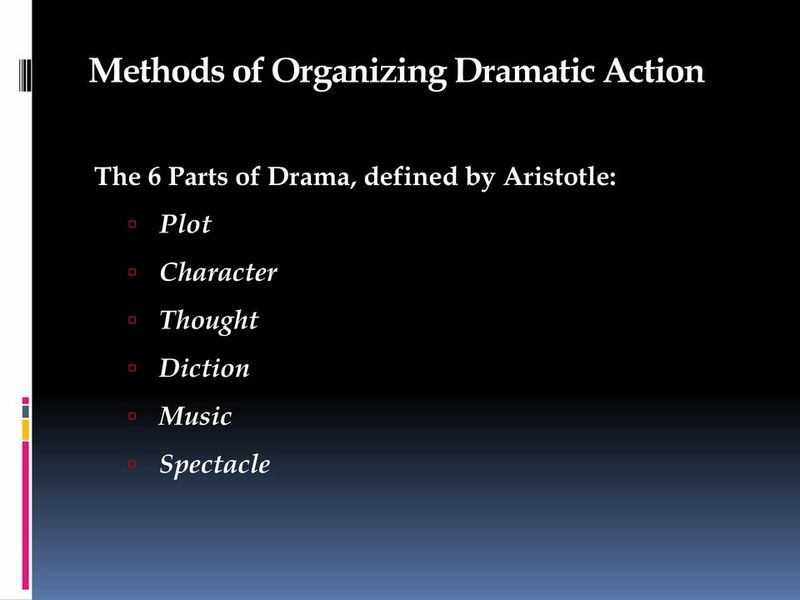 Note - Many of the following terms are applicable to both drama and fiction. Year 7. Learning to use: Voice, body language, facial expressions, gestures and movement and imagination. 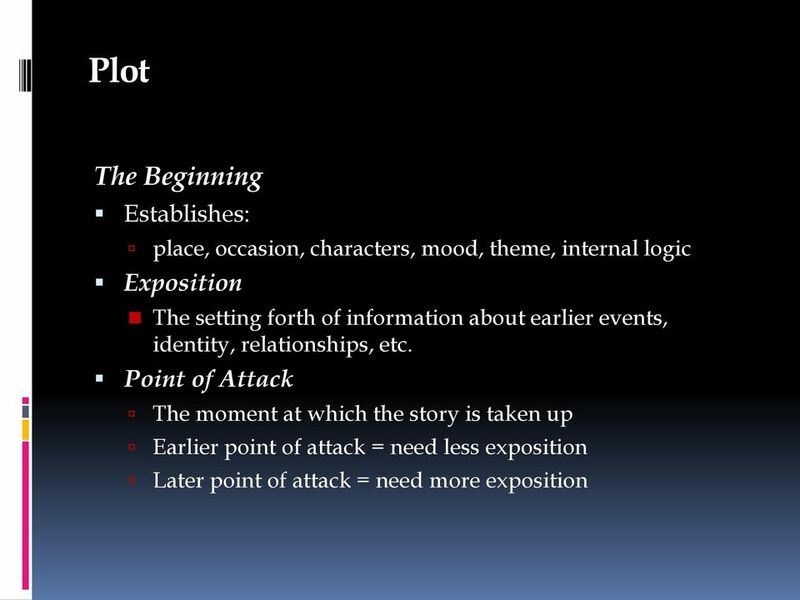 Write the key elements of the plot in a story you have read.